Succulent baby. 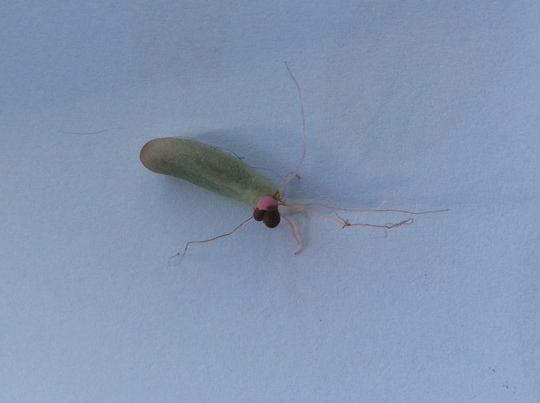 This little bit fell off a succulent and has grown air roots. My question is can I plant it in soil? If so do I plant it in grit, sandy soil or multi purpose compost? Thank you. Just plant it in whatever the mother plant is growing in. Those are ordinary roots. Yes they are proper roots. When my succulents do this I place them on top of some gritty compost and lightly cover the roots. Then just let them grow away. It's a good way of propagating them. Yes I do it the way Hywel does it. I often mix my own gritty compost and also add perlite to help drainage.